The National Player of the Year race often shifts throughout the year, with public opinion and common perceptions clouding the landscape. Until about February 1, Villanova’s Josh Hart dominated the conversation. His do-everything game and hard-nosed style of play had the defending champs at the top of the polls and eyeing a repeat. After Villanova’s three losses and some impressive Kansas wins, Frank Mason III took over as the consensus future award winner. The point guard was leading one of the nation’s top teams and scoring 20 points per game. At face value, both options made sense. Great players for great teams, both deserving of many honors. But National Player of the Year should mean more than that. Football fans love to find a “Heisman moment” for their sport’s big award winner before forking over the trophy. In a long basketball season, it is more difficult to pinpoint a specific moment, but easier to look for a player who has had the greatest impact on his team’s season. A National Player of the Year award should go to the guy who has caused the most headaches for opponents and submitted the most jaw-dropping games this season. Mason and Hart have been great, though have not really exceeded expectations, surrounded by exceptional teammates. Purdue’s Caleb Swanigan has been everything for the Boilermakers this season. He led the Big Ten in points produced, despite averaging only 2.8 assists per game. He finished the season averaging 18.6 points and 12.6 rebounds per game. He was 3rd in the nation in defensive rebounding rate and grabbed 50 more defensive rebounds than any other power conference player (FIFTY!). He’s played 31 games this season and failed to record a double-double only five times. He’s gone for 20 points and 20 rebounds four times this season. Josh Hart and Frank Mason are very different players than Swanigan, but Hart had only four double-doubles all season and Mason had none. Though Mason and Hart have been productive, without question, Swanigan’s production has directly fueled Purdue’s success. The Boilermakers ranked in the top 15 nationally in defensive rebounding rate, thanks to Swanigan. This success has allowed Purdue to hold opponents to one opportunity each time down the floor and then helped the Boilers get out in transition. Purdue has ranked third in free throw rate allowed, in part due to Swanigan’s ability to protect the rim and the paint without fouling. Finally, Purdue has made a Big Ten best 40 percent of 3-pointers this season. Though the Boilermakers have shooters, they’ve been afforded better looks and more open shots thanks to Biggie Swanigan sucking defenders into the paint. Not to mention, Swanigan himself has knocked down 45 percent of his outside shots, better than Hart’s 40 percent (on many fewer attempts, but still a fun stat). Hart and Mason have been great players on great teams. Purdue has been a very good team because Swanigan has been great. The value he has added to his team outweighs that of any other player. And even though college basketball’s award is “Player of the Year” rather than “Most Valuable Player”, Swanigan’s season is most deserving of the honor. Caleb Swanigan, Purdue: See above. 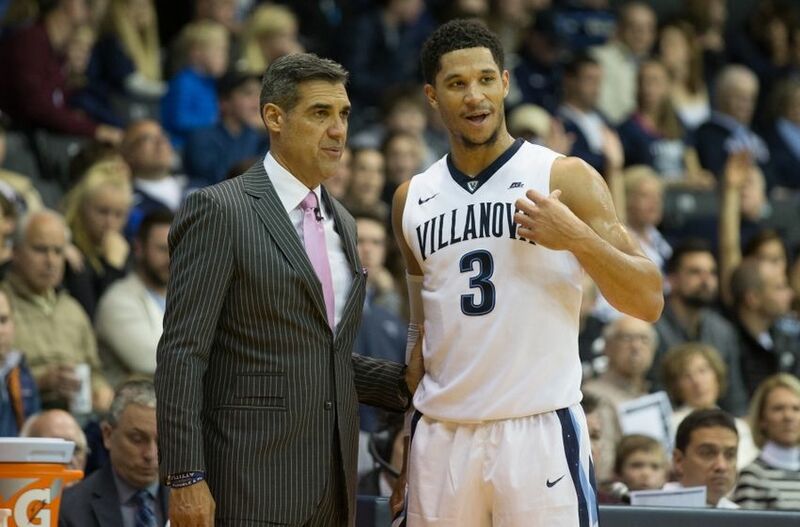 Josh Hart, Villanova: Though I preferred Swanigan to Hart, the Villanova senior has still been great. As complete as any player in the nation. Frank Mason III, Kansas: Ditto for Mason, pacing the Jayhawks all season and always having the answer. Nigel Williams-Goss, Gonzaga: 28 wins in a row came from somewhere. Watching the Zags, it was clear NWG was the catalyst for their success. Lonzo Ball, UCLA: Just a special season. Sparked the best offense in the nation. Luke Kennard, Duke: Made a leap to new heights and was transcendent, even surrounded by drama and talent. Dillon Brooks, Oregon: The most clutch player in college basketball. Monte Morris, Iowa State: Scored, rebounded, assisted, defended. Did everything for the Cyclones. Malik Monk, Kentucky: Tough call for the last spot, but can’t overlook the most dangerous player in America. Could go for 40 any night.